As an online retailer, you're always testing new e-marketing strategies to see which work for you and which do not. We're delighted to be able to offer you five that may be new to you - and that we think will work exceptionally well to increase your sales. 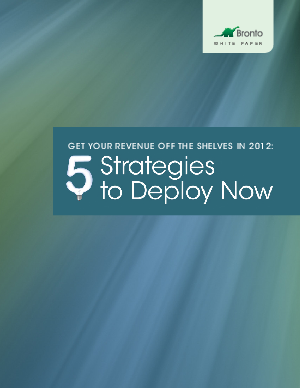 Our white paper, "Get your revenue off the shelves in 2012: 5 Strategies to Deploy Now," goes into detail on all five. No matter where you are with your 2012 plans, you'll find actionable strategies that help maximize your revenue. Get your free white paper today!